I love yoga. It's calming, challenging, grounding, and I have been a regular practitioner for nearly three years. It's been good for my physical health, but done absolute wonders for my mental health. 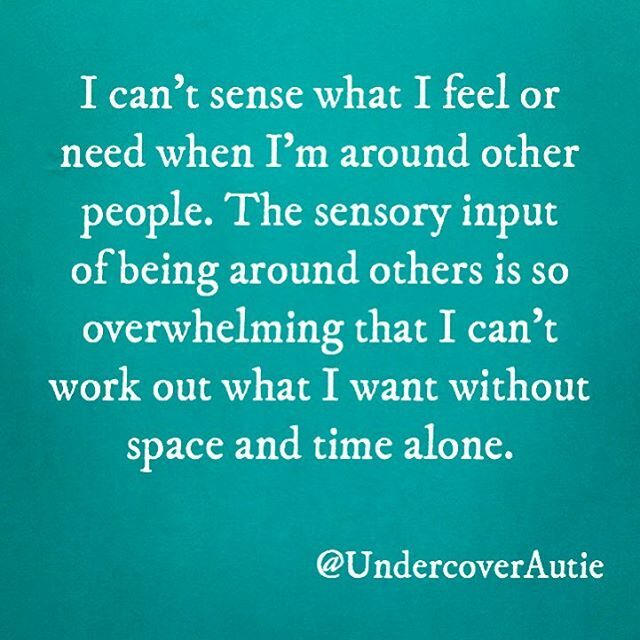 It has brought me in touch with my body and physical sensations (something that can be hard for autistic people) and has given me space in my busy mind (again, difficult for auties and people with anxiety). However, today I went to a new yoga class and came away feeling angry and upset (not how you want or expect to feel after yoga!). It was a completely different style to what I’m used to and I found it very physically taxing. I have hypermobility and slightly low blood sugar and blood pressure so I have to be careful with exercise in order not to feel lightheaded or faint, and because of my hypermobility I find a lot of physical things a bit more difficult or draining than some other people do. I don’t usually tell yoga teachers this at the start of class because I know how to deal with it myself and as almost every yoga teacher has said, if it’s too much you can go into child’s pose. Occasionally I have told a teacher before class and they've either looked blank or offered advice I would already have taken myself. Almost more importantly than these things is the fact that I have to manage my energy very carefully. My energy levels are very changeable and it doesn't take much to drain me of all mental and physical resources. I self-identify as a 'spoonie', that is, someone who has a chronic illness that means they have to regulate their energy very carefully. Again, this can make any physical exercise tricky, but I am familiar with yoga and as I said, always felt able to rest when I needed to during a class. So although I was trying out a new type of yoga, I felt fairly confident I'd be able to deal with it. However, what I found was that it was so demanding that I felt light-headed, saw stars, and began to feel anxious. The teacher had not offered any advice as to what to do if we left it was a bit much, nor had he offered child's pose as a resting pose. And the style was so markedly different to what I was used to that I didn't know what I was 'allowed' to do. When I felt light-headed in the middle of the class I folded forwards to get some blood back into my head. This has happened many times before in yoga and usually works well. But as I was recovering, a pair of hands stood me back upright. "Close your eyes," he said. My anxiety increased. He prodded me in the back to get me to stand up straighter. The class involved a lot of pranayama (breathing exercises) which I usually enjoy, but these were intense and involved a LOT of holding the breath. This was really unhelpful when we were holding the breath for quite an extended period of time during very vigorous physical movements. I found myself squatting down and lifting my arms up, then standing and making repeated circles with my arms, clenching my fists, all while (supposedly) holding my breath. Furthermore, we repeated this, and the other sequences, over and over and over again. I'm used to the repetitive nature of yoga, even ashtanga yoga which I've recently started, but this was something else. After a few repeated movements where we held our arms up and then bent forwards and swung them through our legs, my back started to hurt. There were also vocal elements to the movements, but the repetition and the volume of them made my throat hoarse. In short, it was way, way, WAY too much for me, and I wanted to stop. Finding the words to explain myself to the teacher was too hard. The embarrassment was too much to handle. I would’ve felt intensely anxious for the rest of the day and, let’s be honest, the rest of the week. I would’ve worried that I’d done the wrong thing, offended the teacher, annoyed the class, become a source of ridicule. I can rationalise that that’s probably not the case, but rationalising doesn't take away the feelings. I felt that the class was doing me damage physically and mentally. I still couldn’t leave. The physicality of the practice meant that I didn't even consider going into child's pose; it literally did not cross my mind. It would've felt like going into child's pose in the middle of an aerobics class, or sitting in the middle of the pitch during a football game. Instead, I tried to take care of myself by slowing down. I did the movements, but less vigorously. We were doing a movement where we were instructed to kick one leg out while twisting to the opposite side, pushing both our arms down to that side, and shouting 'HA.' I have no idea how many 'HA's I'd already done but it was enough. I slowed down and did my 'HA's a little less loudly. Suddenly there was a pair of wide eyes in front of my face. I wasn't vocalising loud enough for his liking. I tried to up my volume so that he'd move on and attend to someone else in the class. He stepped around my mat and for a second I thought he'd gone, until I felt his hands pushing my hips around so that I'd twist more. At this point I wished I'd told him about my hypermobility. Sometimes hands-on adjustments are okay for me. But this was not. I was exhausted and doing my best. I didn't want to twist to my maximum capacity because it's not good for my joints. Rage flooded me but, not having the words or the assertiveness, I still said nothing. So I began to rage at myself, as well. I desperately wanted to stand up for myself, but I found it impossible. When I left the class I felt terrible. I was furious at the teacher for spoiling what should have been my hour of sanctuary where I feel safe and cared for. I was upset with myself that I wasn't able to express myself or simply just walk out because it wasn't what I needed. I was physically exhausted, my legs shaking as I went down the stairs. Now, hours later, my back hurts, my hips ache, and do not intend on going back to that class. For some I'm sure it's wonderful. If you're physically and mentally fit, I expect it's invigorating and challenging. But it was a class for all levels. And I did not feel catered for. At no point did he see me struggling and suggest I take a break in child's pose (and he definitely saw me struggling). This is not the yoga I want to take part in. I want, and need, to work with my body and for my body. I have spent years learning how not to push myself and how to accept my limitations. It has been hard and emotional to do so, but I am getting better at it. And this class was going against all that work. What I've taken from this is that, as if I didn't know already, I'd like to get better at asserting myself and my needs. But for now, I am under a blanket with a hot water bottle and a cup of tea. Recovery underway.